It's Christmas Eve Eve! We're both so excited to have some time off over the holidays so we can relax with friends and get ourselves ready for 2016! 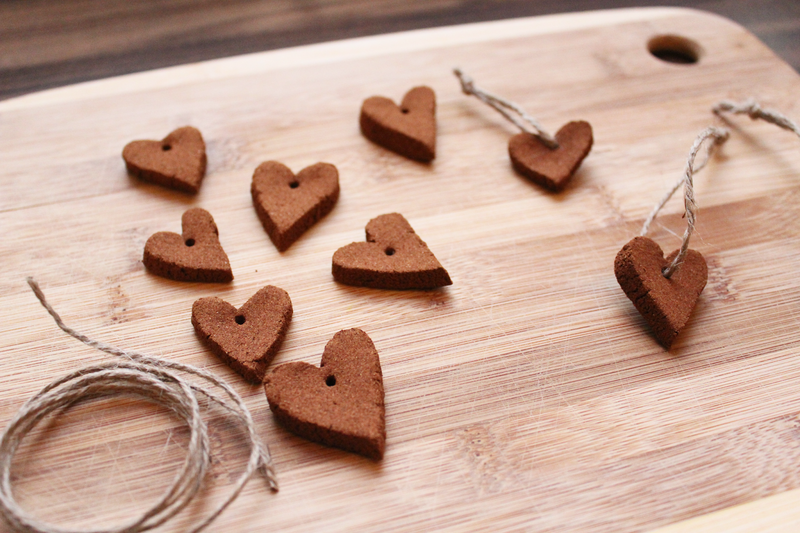 A few days ago when we were cleaning the apartment for my mom's arrival, we decided to whip up some of these cinnamon heart ornaments. I don't think I ever made these as a child, but I remember seeing a few cinnamon ornaments on our tree each year. 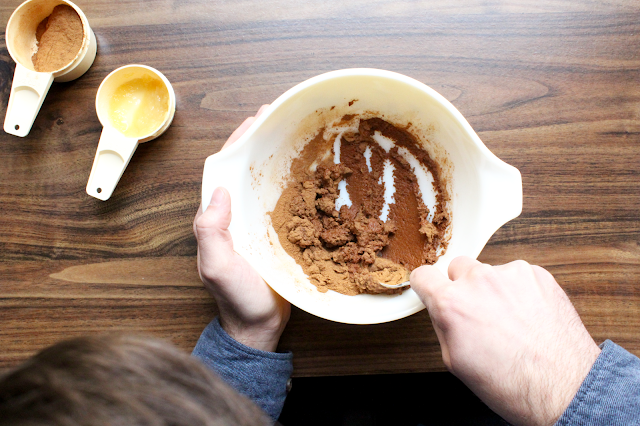 They're super easy to make and they make your kitchen smell delicious, so we wanted to share the process with you! - Preheat oven to 200 degrees. In a large bowl, stir together applesauce and cinnamon, a little bit at a time. Your dough should be REALLY well combined and not too wet. You may need more cinnamon/less applesauce to achieve desired consistency. - On a sheet of wax paper, roll out dough to 1/4" thick. 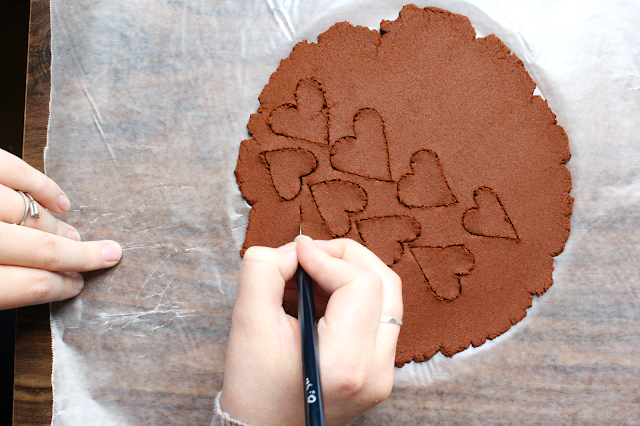 Use your cookie cutters or Xacto knife to cut out shapes. 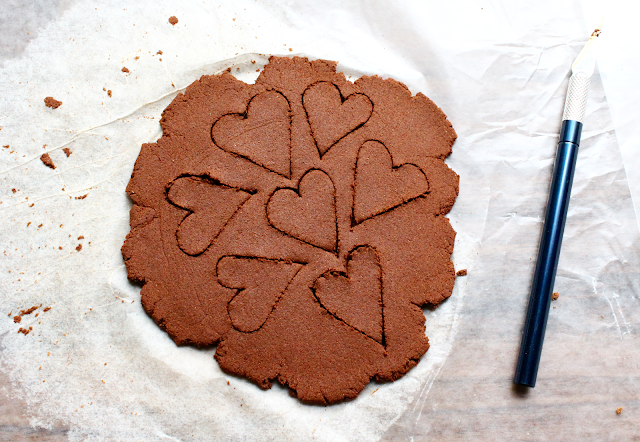 We don't have a small heart cookie cutter, but using an Xacto knife worked just fine for us! - Transfer hearts to a wax paper or silpat lined cookie sheet. If the edges are a little rough, smooth them out with your finger. 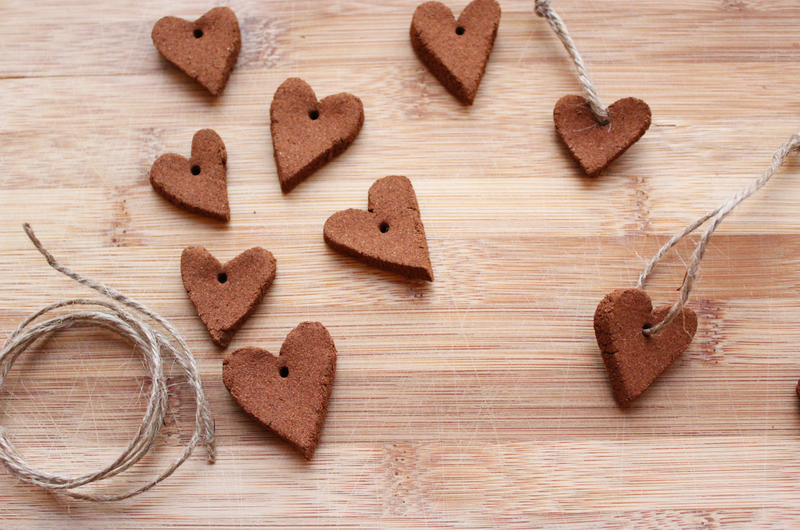 Using a skewer or pencil, make a small hole in each heart. 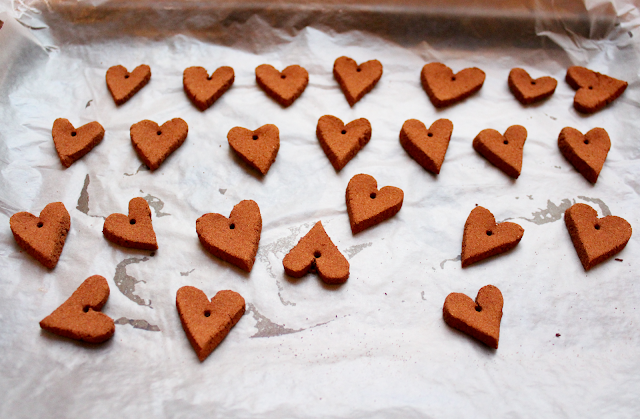 - Bake cinnamon hearts in the oven for 1.5 hours and allow to cool completely before handling. Then string a piece of twine through them and you're done! 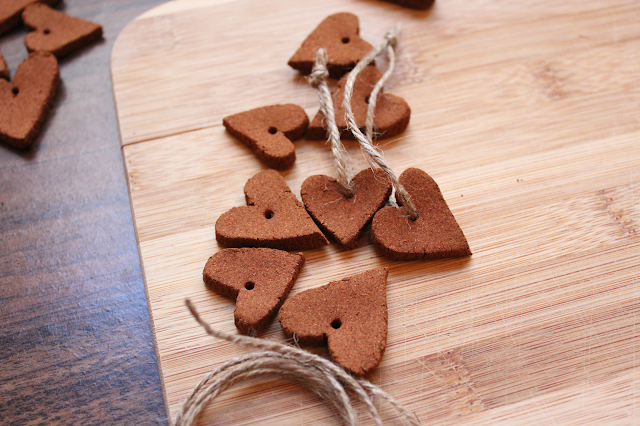 These hearts would be so cute on a tree, tied to a present, or you could make a garland out of them! Even though Christmas is almost here you definitely have time to make a batch before the holiday festivities! We won't have a new post for you on Friday, so we'll be back on Monday with our regularly scheduled MWF posts. We hope everyone has a safe and happy holiday with friends and family! And thank you, as always, for your support of The Surznick Common Room. We're so grateful for our readers and we're looking forward to sharing awesome new content in 2016! and they dont break off at all? will try this out myself! Nope! They bake up pretty firm! :) I was surprised that there's only two ingredients!